Cityneon Holdings' stock trading has been suspended from last Thursday (10 Jan), and will in due course be delisted following a successful privatisation offer. It's a thrilling finish in the sense that the stock has surged an astonishing 7X in the 3 years following Cityneon's acquisition of a new business -- Victory Hill Exhibitions Pte. Ltd -- at end-Sept 2015. The stock then was around 17 cents. In Oct 2018, an offer to privatise Cityneon was made by its executive chairman, Ron Tan, and a HK entrepreneur, Johnson Ko Chun Shun, at $1.30 a share. Ron Tan: His company, Victory Hill, was acquired by Cityneon in Sept 2015, following which he was appointed a director of Cityneon and, in 2017, executive chairman. Photo: Company. Investors bid goodbye to Cityneon after 13 years of listing (Dec 2005) on the Singapore Exchange. Then came the cash-and-stock deal worth over S$20 million to buy Victory Hill Exhibitions, a young company that had clinched in 2013 a licence from Marvel Characters B.V. for the right to provide exhibition services for Marvel. It took time but Cityneon's prospects turned from dim to bright and it became a market darling. Its new-born Intellectual Property Experiences business segment delivers engaging educational and interactive exhibitions for exclusive licence-held showcases. 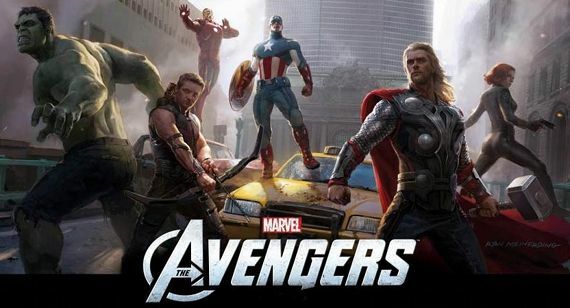 Marvel Avengers S.T.A.T.I.O.N (Scientific Training and Tactical Intelligence Operative Network) is a completely interactive experience that brings visitors into the cinematic world of Marvel The Avengers. (Photo: Company)Its portfolio of IPs currently comprise Universal Studio’s Jurassic World, Marvel’s Avengers S.T.A.T.I.O.N., and Hasbro’s Transformers Autobots Alliance. In contribution, this business segment has overtaken Cityneon's legacy core business of "providing creative solutions in the areas of Interior Architecture, Events, Exhibitions and all manner of Experiential Environment to global corporations, brands, businesses, government and international agencies worldwide." • Group gross profit increased by 128.6% from S$17.5m in 9M2017 to S$40.0m in 9M2018 – due to the higher revenue contribution from Intellectual Property Experiences business segment. • Group net profit for 9M2018 stood at S$14.2 million. "We started our journey as a supplier of electrical appliances in 1956, we have come a long way. Within a few years of our inception, we expanded our business to include the design and installation of shop displays and retail fronts. This is where we began our journey to transform customer touch points into holistic brand experiences, culminating in the incorporation of Cityneon Displays and Construction Pte. Ltd.
"In early 70s, we were the appointed partner of Australian Trade Commission to erect booths and provide logistical support for their “Made in Australia” marquis exhibition – the first of its kind to be hosted in Singapore. It proved to be the turning point for our Company, as it enabled us to showcase our creative prowess at an international stage, thus opening doors to new frontiers."